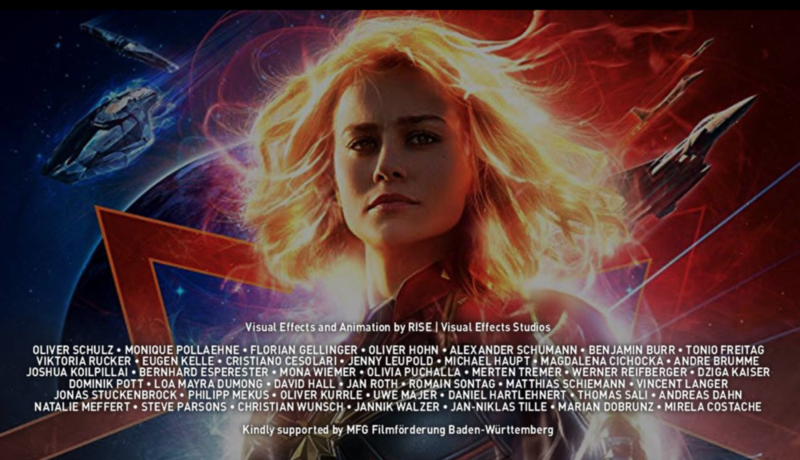 Captain Marvel in Theaters now! Did you watch the premiere of Captain Marvel this weekend?! We think it’s an awesome new Marvel Studios Movie! Great work to everybody! One of the contributing team was RISE Stuttgart which was kindly supported by MFG Filmförderung Baden-Württemberg. Newer Post2019 R&D Reel from Animationsinstitut!